Holiday Project two is coming at you today. 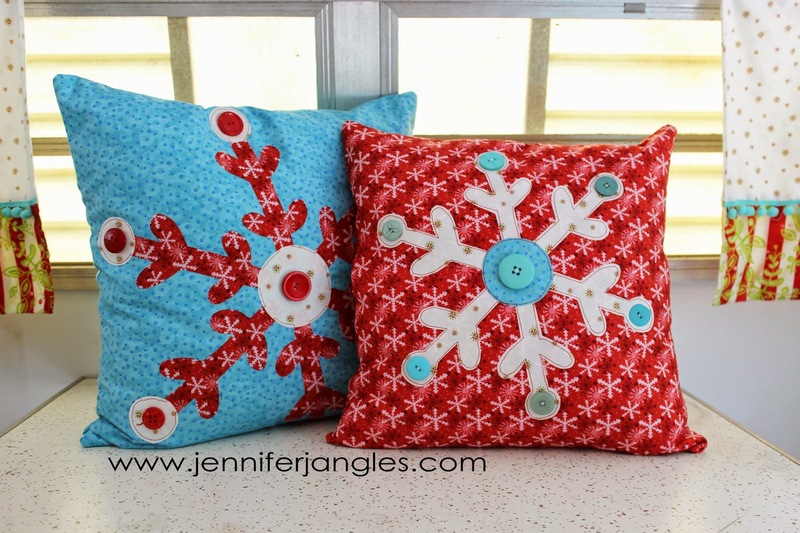 It's a pair of appliquéd Snowflake Pillows. I'm thinking there needs to be a matching quilt in my house with these as well. You can find the printable appliqué pattern here. These two pillows are 16 and 18 inches. The appliqués are for these two sizes, but you could always play around with your print settings and make the appliqués larger or smaller to meet your needs. 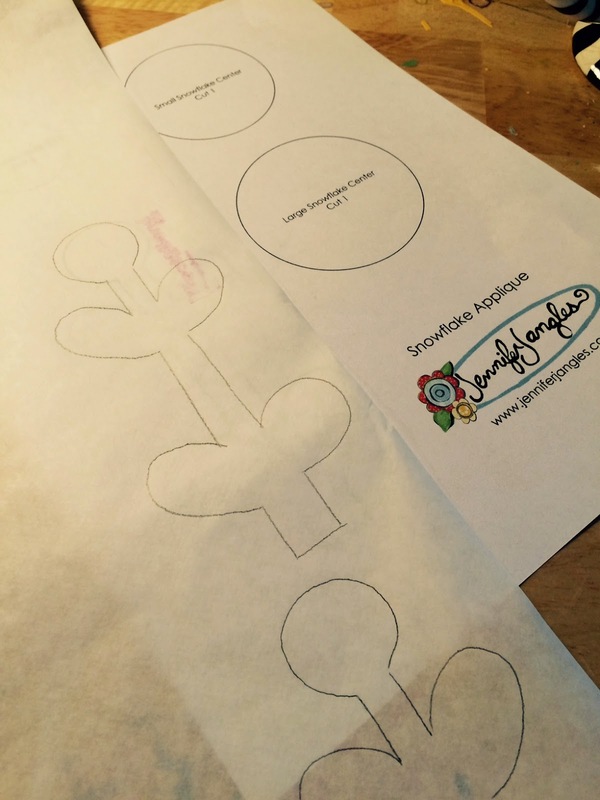 In this tutorial, I'm going to give you the how to on the appliqué. 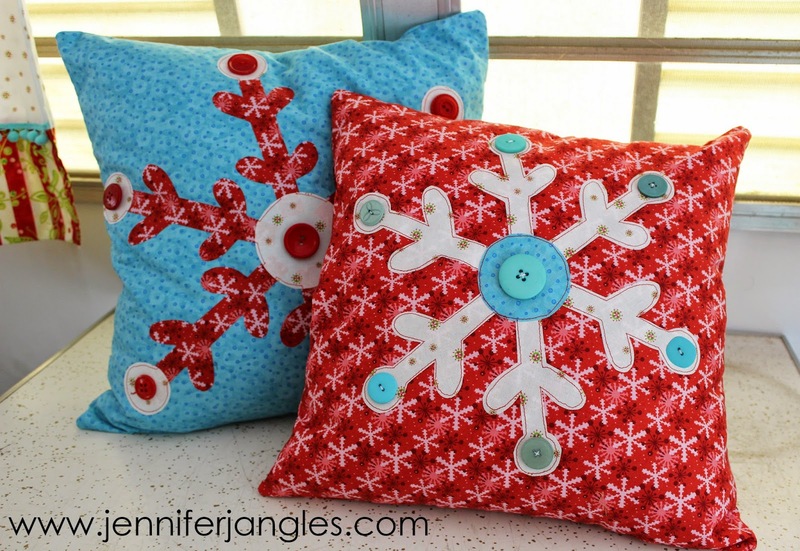 There are loads of pillow making tutorials on the internet, as well as quilts, and bags, and anything else you could imagine putting a snowflake on so I will let you use your imagination on this one. To create the large snowflake trace six of the dendrites(arms) , 6 end circles and the center onto the fusible webbing of your choice, I used Heat n Bond Lite. Cut out the paper backed webbing loosely and iron them on to the corresponding fabrics. Cut out the snowflake parts on the traced line, peel off the paper backing. Arrange the six dendrites so that the ends all meet up in the middle. Place the center circle over the top. At this point you can tweak where you would like the dendrites to be. Once you've got everything in place, iron the appliqués to the fabric. If you're making the large snowflake iron the circles on the top of the smaller circle on the outer edge of the dendrite. To stitch the appliqué in place I did free motion embroidery around the outsides because that's my favorite stitch right now, but you could do a zig zag or button hole/applique stitch. Stitch a button in the center and on each of the ends of the flake. 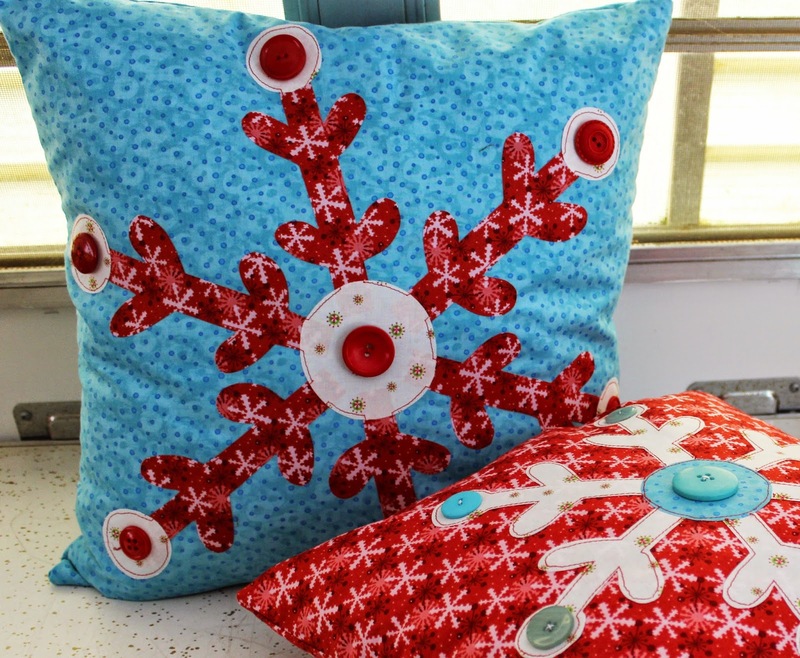 When the appliqué is finished you can stitch up the pillow, quilt block or whatever else your making with the Snowflake Applique. Pin it! Did you know if you hoover your mouse over any image on my blog you can pin it to one of your Pinterest Boards, that way you'll know where it is when you're ready to sew. How very cute and uplifting. Thank you for sharing of your talents.